Please see the Documents Tab for Data Sheet and Detailed Presentation Reviews of AltaView for ARINC (A429) and MIL-STD-1553 Products. = EU Data & Equipment ID Tables for System Parameters. 1-N Tabs of Multi Parameters. = Signal Capture of First 1553 Channel and First 2 ARINC RX Channels – Industry First for Standard Cards! Full XML Interface for Setup, ICD and ARINC Equipment Labels! Independent Channel Operations – Run AltaView on one channel while running your application on another channel. 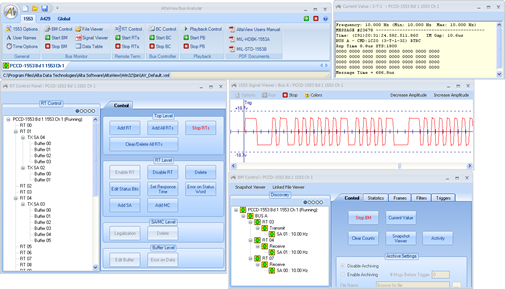 Here you can find documentation pertaining to the AltaView Bus Analyzer. For additional documentation and software, please visit our secure download area. 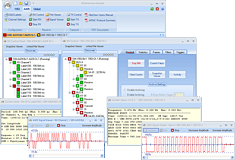 Click on the video players below to view demo videos of AltaView Bus Analyzer. For optimal viewing, click the full screen button on the player to maximize the video window.